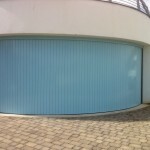 There are only three companies that we know of in Europe that make a true sliding door. Hormann, Vertico and Rundum Meir. 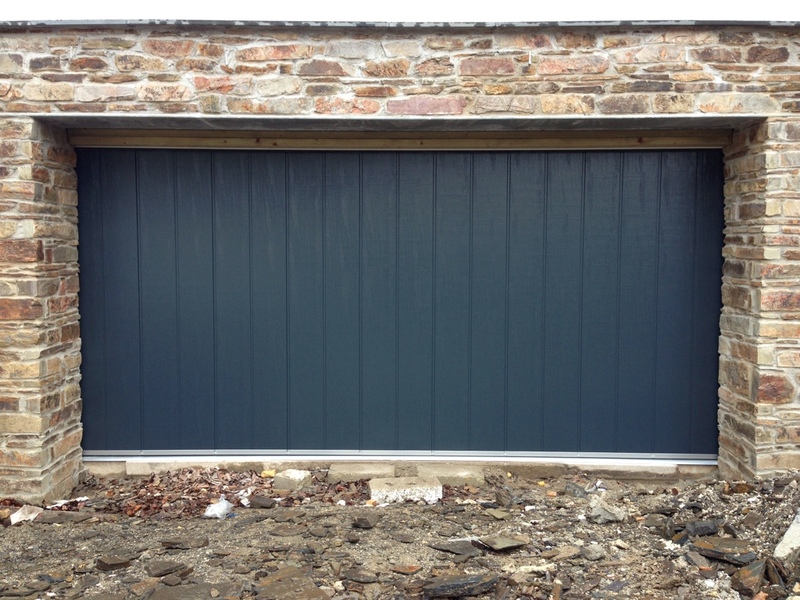 The Hormann HST uses the same panels as their sectional door system, also the same electric operators, albeit with longer booms. 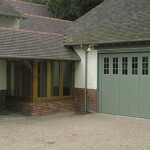 There are several different styles, colours and window options that can be used. 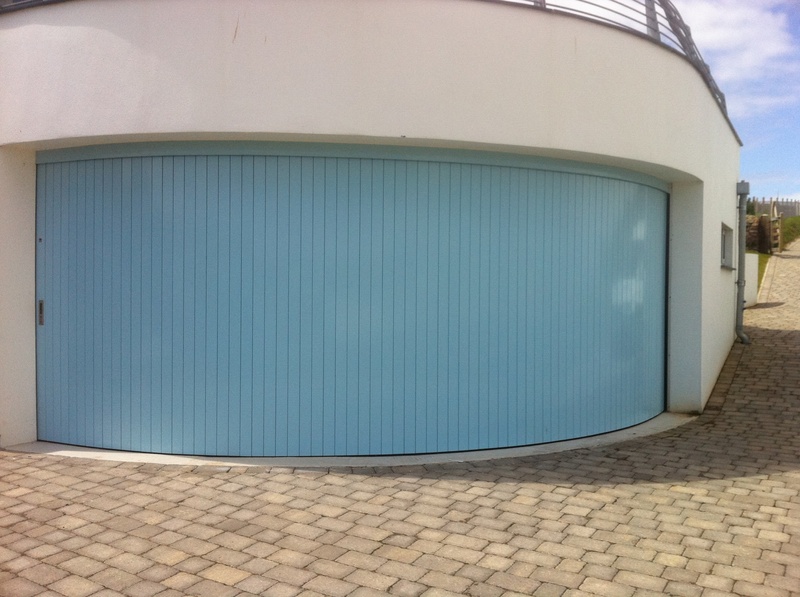 Hormann HST is only available from Hormann distributors that have undergone specific training to supply this product, SWGD are fully up to date. 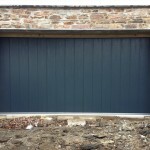 Vertico is a sliding door made from Aluminium foam filled lath that are available in several colour choices, they make doors that can slide to the left and right at 90 degrees to the front wall of the garage. 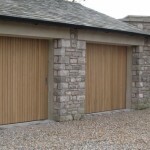 They are all purpose made and use Marantec Automation. 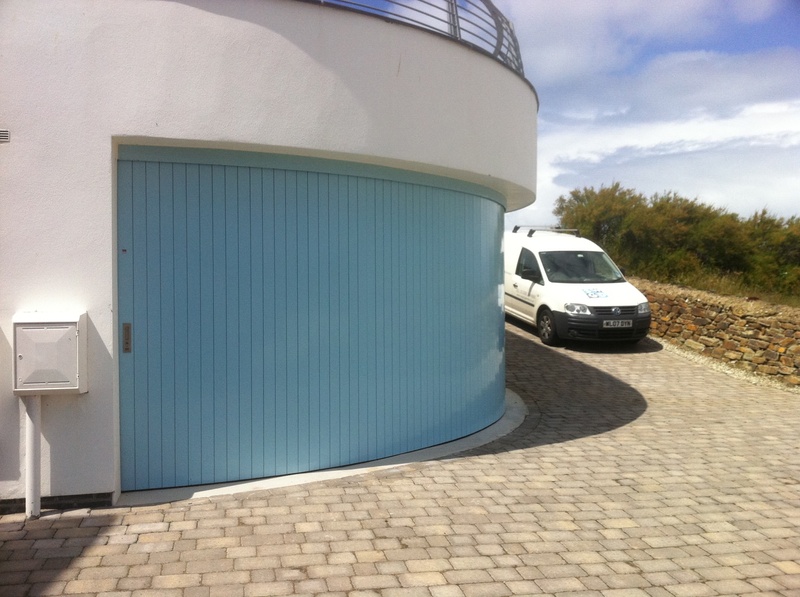 “Rundum Meir however offer a true bespoke round the corner door.” They can slide either way and even bi-part, double or even triple curves at any angle can be incorporated in the door. 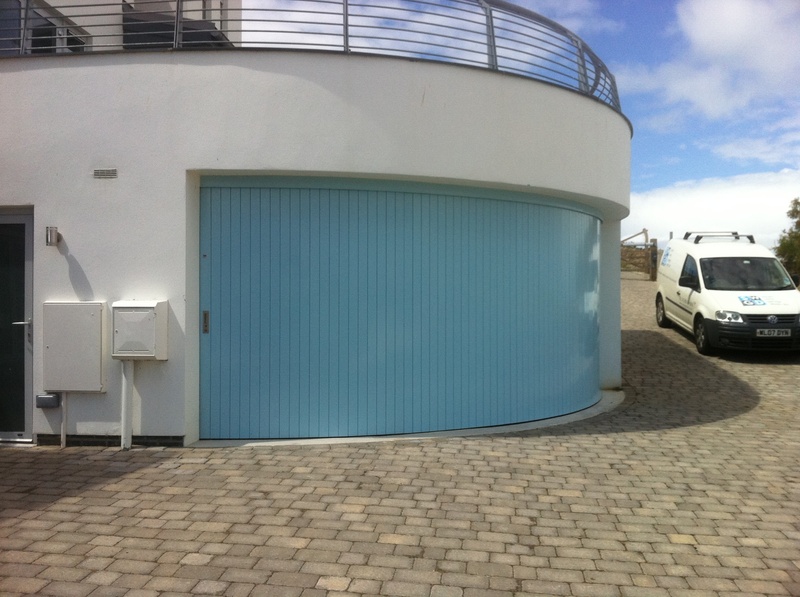 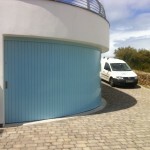 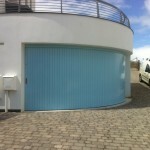 With such a track system it is possible to accommodate curved openings, check out this picture of a door we installed in the Newquay area. 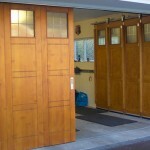 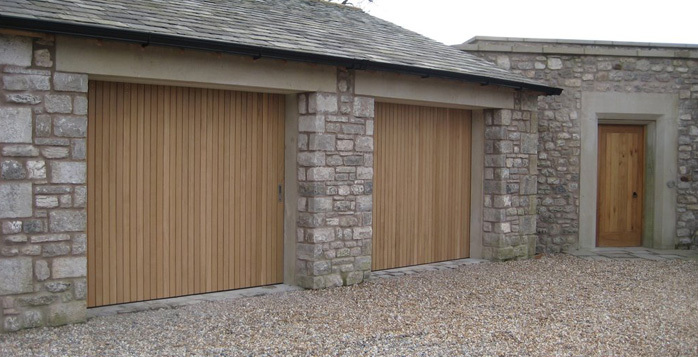 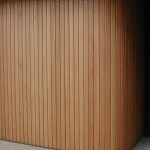 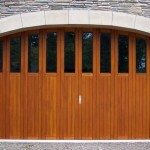 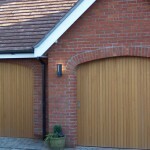 Rundum Meir door can use most timber styles with the popular being spruce, larch and sapele. 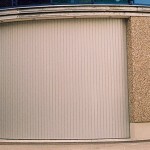 Aluminium lath either foam filled or the strong extruded lath as possible. Automating Rundum doors is a doddle with the MZ4 operator. This operator is mounted on the door itself so it easily copes with any track system.